Blackberry announced New Blackberry DTEK50 device. This Smartphone know as Mercury with BBB100-1 code named. This new smartphone comes with the platform of Android 6.0 (Marshmallow) and powered with 64-bit Octa-Core Qualcomm Snapdragon processor. 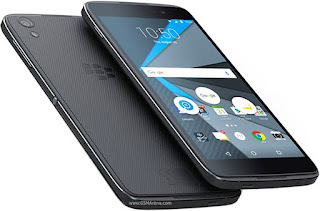 Blackberry DTKK50 has 5.5 Inch Full-HD Display. The Primary Camera is 21MP and Secondary Camera is 8MP for selfies. The Internal Storage is 32GB. Blackberry DTKK50 have 3,000mAH battery in it. Coming to the Product Price is Rs.33,333 ($499,99) According to Indian inr.